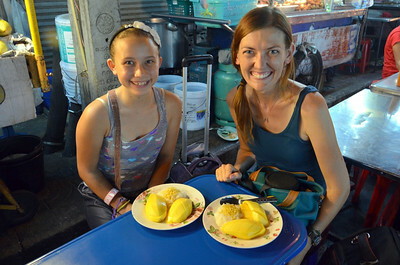 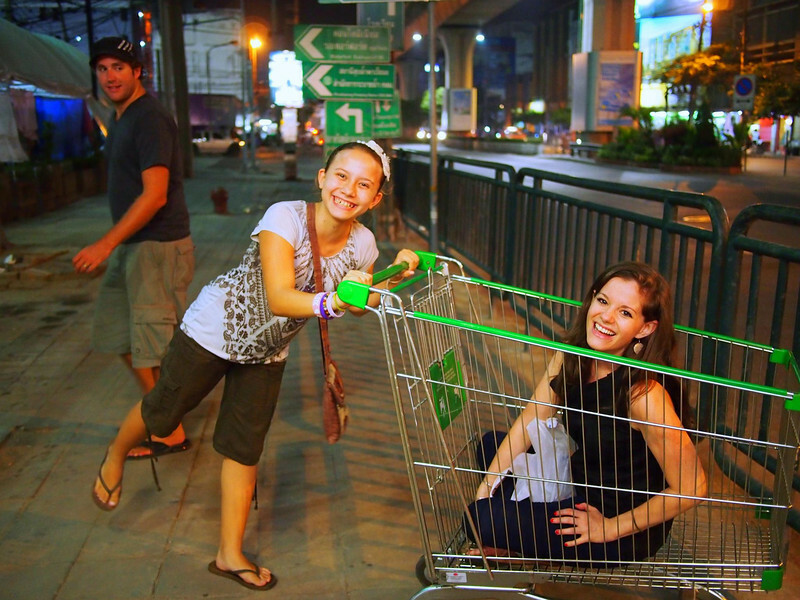 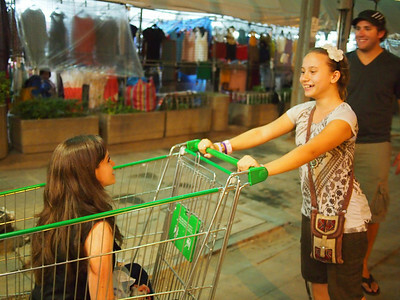 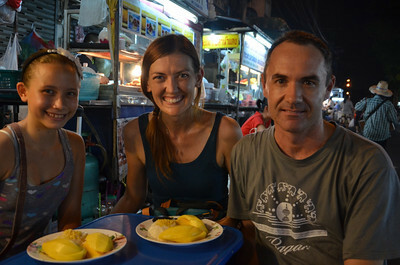 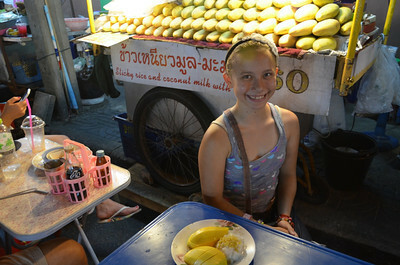 Grabbing some mango and sticky rice on Soi 38 with James from Nomadic Notes and my niece Ana. 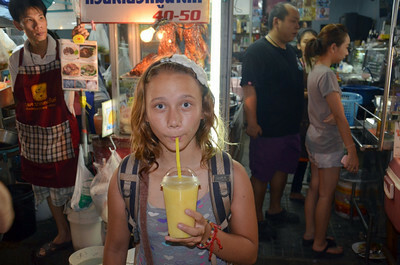 My niece enjoys a cold fruit smoothie on our last night in Thailand on Soi 38 in Bangkok. 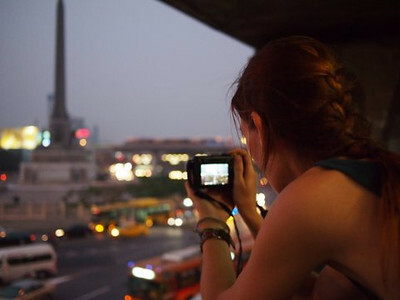 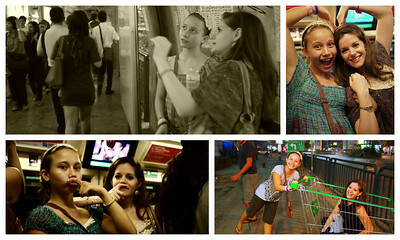 A fun gif of Jodi, Monique, Ana and me on a street corner in Bangkok trying to simultaneously jump. We failed but had a blast doing it!